With our staff counting over a dozen dogs, a flock of Chickens, and even a tarantula as pets, you better believe we know and love animals. 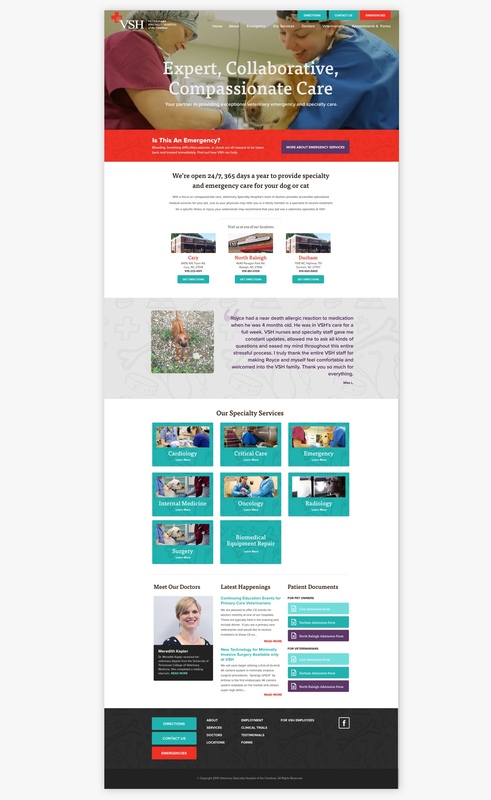 So, we were excited by the opportunity to design and build the website for the Veterinary Specialty Hospital of the Carolinas. We wanted the site to put visitors at ease by clearly demonstrating the care VSH puts into their work and quickly outlining the available services for patients. By using the design to establish a calm and helpful tone, we could help ease pet owners' concerns and quickly get them their desired content. The focal point of the homepage is an ambient video that silently plays as soon as a visitor lands on the site. This element is paired with VSH's tagline: expert, collaborative, compassionate care; the tagline is vividly brought to life in a way only a video could. 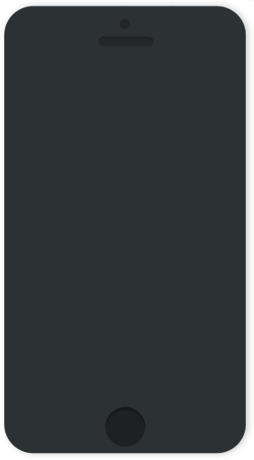 NMC's frontend developers always have performance as a primary concern, and we are able to serve the video in a way that does not have any negative consequences around load time or performance. 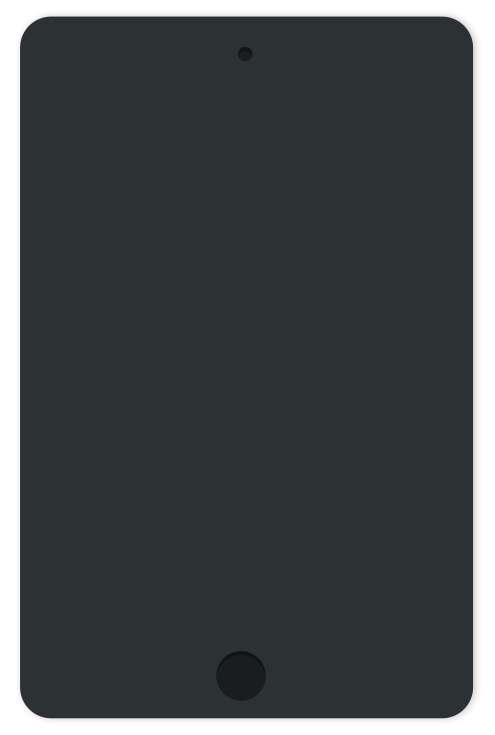 Visitors on mobile devices will automatically see a still image rather than playing the video on their limited computing power and data. 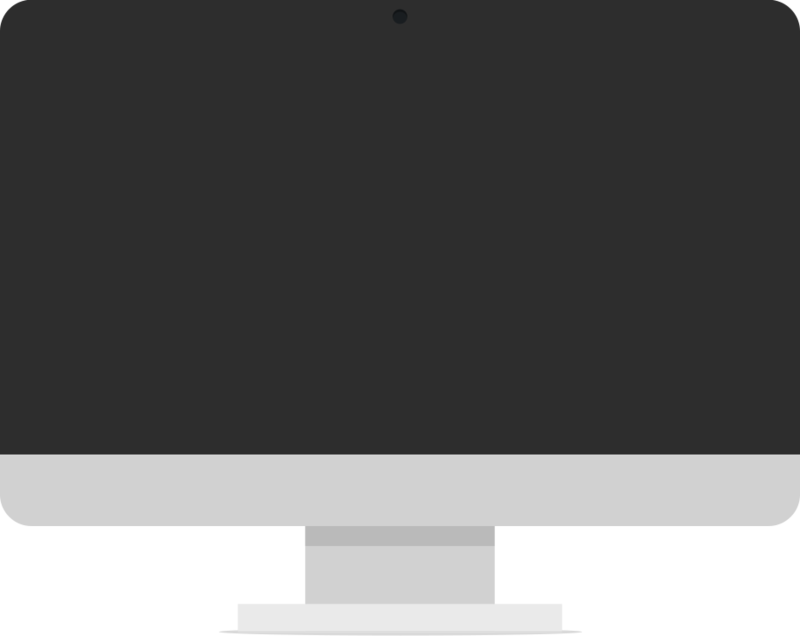 The rest of the homepage highlights the services offered by the business, letting visitors easily click through to get more information and find a location near them. The site also promotes profiles on individual doctors, a blog with VSH news and resources, and overviews of what to expect. All of this information helps position the organization as a friendly and knowledgebale resource. The site is built on a Content Management System to let editors easily add and edit content. 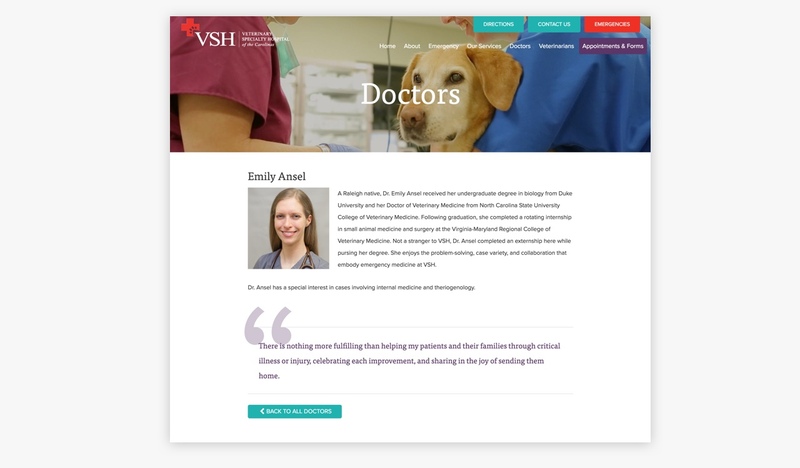 We also worked with VSH to build an intranet to help the team communicate and share resources internally. The new site strives to bring the organization's mission to life and uses design to establish VSH as coompassionate experts.